‘True Detective’ Season 3 Theories: Who Are the Suspects? 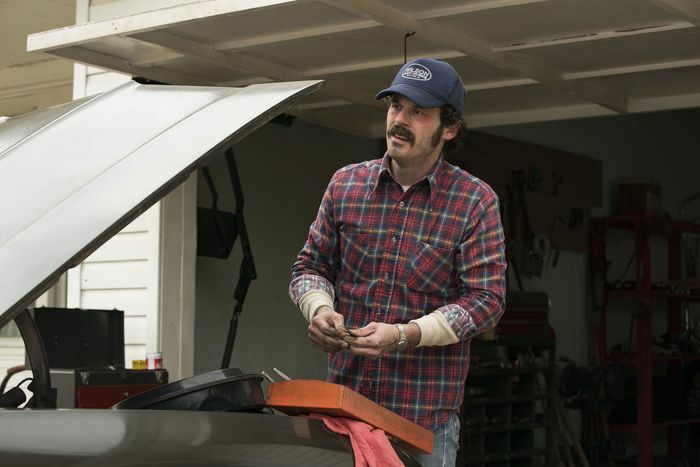 We’re this close to the True Detective season-three finale, so the solution to the mystery ought to be in sight, right? Wrong! While some elements of the case have become clearer (good-bye, Harris) and some plausible explanations have surfaced — most plausibly Elisa’s child-slavery-ring theory — much of it remains fuzzy. What’s more, this seventh episode kept introducing new characters, and with them, new possibilities. So many new possibilities. Too many new possibilities. Nonetheless, let’s try to figure it out. Poor Tom. After playing drunken detective last week, he met an untimely fate atop the observation tower. Suicide? That’s the official story. But we know better. Last seen walking into the Pink Room as Harris James crept up behind him, he apparently became a man who knew too much in a hurry. We won’t completely eliminate him just because Elisa does put forth the theory that he might have been involved in selling his children into slavery. But ultimately it seems like Tom was just more collateral damage. Let’s keep the late, unlamented Harris’s odds as they were. He’s obviously guilty of something, even if only of being an accessory after the fact. Let’s do the same with Lucy. Again, she’s clearly guilty of something. And while Elisa’s child-kidnapping-ring theory seems quite possible, does Lucy really seem like a woman who would sell her own children into slavery? Oh, right: She totally does. But she also seems like maybe too obvious a suspect for a season that probably still has some narrative tricks up its sleeve. Then let’s go ahead and lower the odds on Cousin Dan, who seems increasingly like some kind of partner in crime to his cousin. What crime? That’s to be determined. Hey, where’s Lori? Is Lori ever coming back? Is that the twist? Probably not. Okay, it now seems like whoever’s been watching Wayne (a) actually exists and (b) is up to something. Keep an eye out for ominous-looking sedans. With no reason to lower the odds, we have every reason to raise them. We’re keeping these at 10 to 1, but maybe they should be lower? If Elisa’s correct in alleging a child-kidnapping ring involving those of wealth and power, surely someone in law enforcement has to be involved, right? And the rapidly ascendant general attorney of Arkansas just makes sense as a suspect. What’s more, he’s shut down the Purcell investigation twice, once in 1980 and again in 1990. On the other hand, he’s also the one who reopened the investigation in the first place, leading to an embarrassing press conference in which he had to admit he got the wrong man ten years earlier. Whoopsy! That can’t have been part of any far-reaching conspiracy, right? We’ve seen Lucy’s friend — did anyone catch her name? — before, but mostly just hanging around comforting her friend. This week she gets a full scene, one in which she provides Amelia with a seemingly important photograph. She seems to think her friend is innocent and she seems fairly innocent herself (if a little racist). Still MIA. If he were to make a return, would anyone remember? The odds of us meeting someone brand-new ought to be fairly long at this point. But all of a sudden we have to contend with a Miss Isabel, who seems to have lived in tragic isolation during the time frame of the crime. Is she still alive? Will we meet her next week? Someone else? It could happen. This is True Detective, after all, and we won’t know anything for sure until next week. This post is updated weekly throughout. 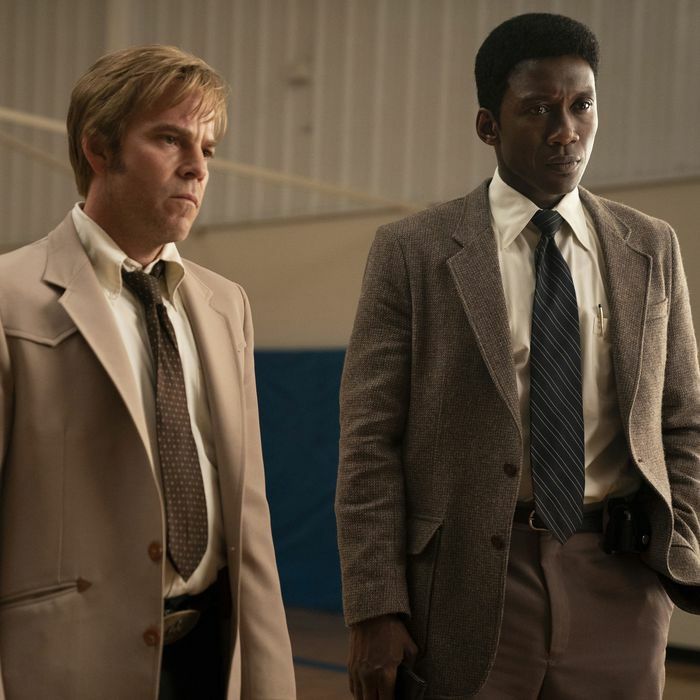 True Detecting True Detective: Who’s the Killer?